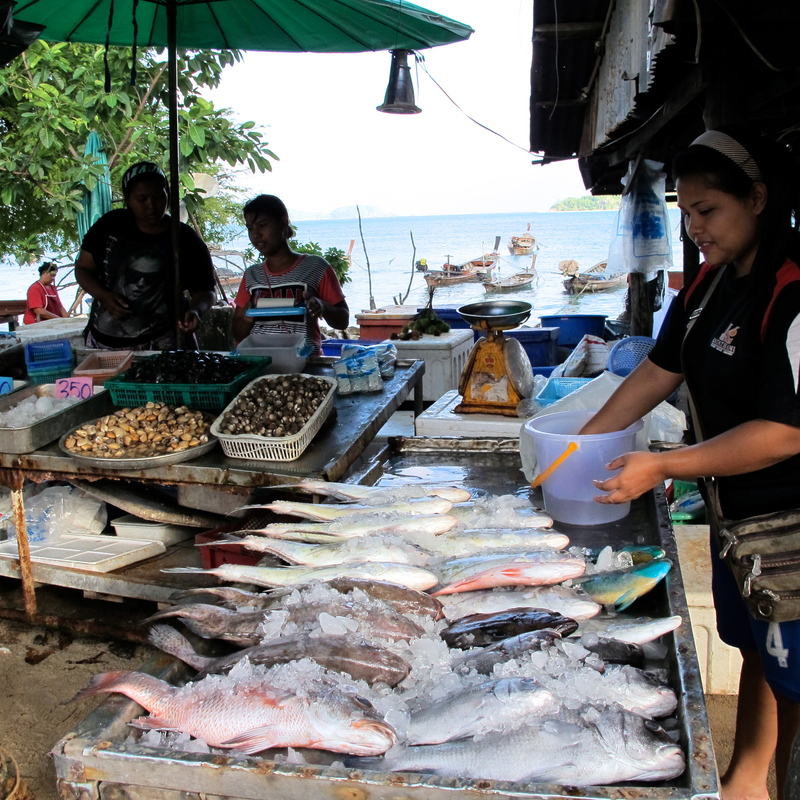 I grew up on Phuket Island at a time when seafood was three-times cheaper than meat. I remember my grandmother giving me two baht to buy a kilogram of the fish of my choice. Today seafood costs much more due to the high demand and limited resources. 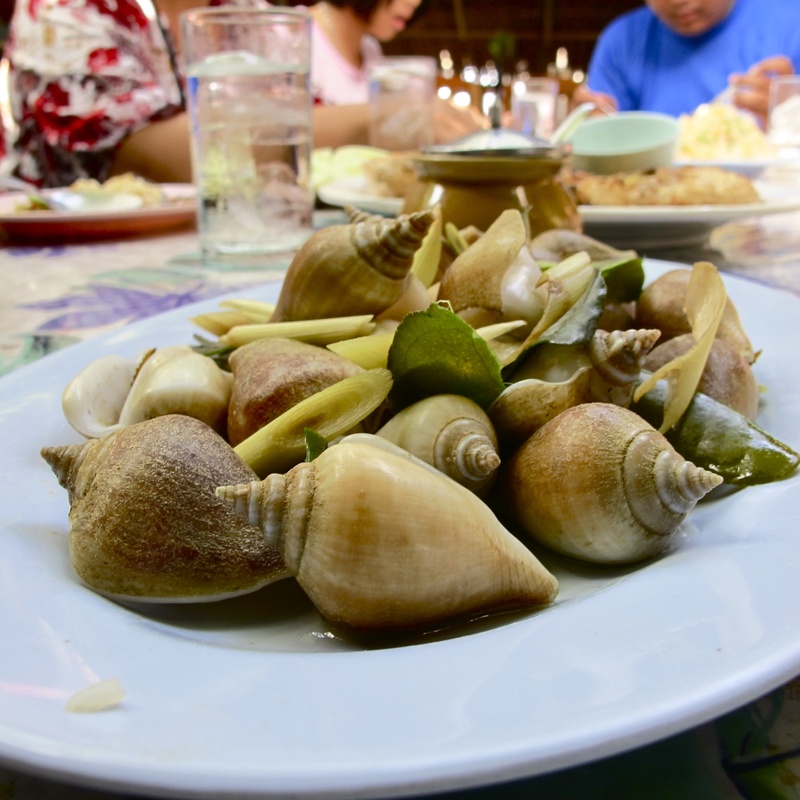 In restaurants in tourist areas you might see it on the menu for 300 baht (about ten U.S. dollars at today’s rate) per kilogram, with your choice of preparation. Before you order, be sure to check on the price because the market price changes on a day-to-day basis. What you see below are typical dishes that you can order at any seafood restaurant in Phuket, and especially those around the southern tip of Phuket Island and the Rawai Beach and Chalong Bay areas. 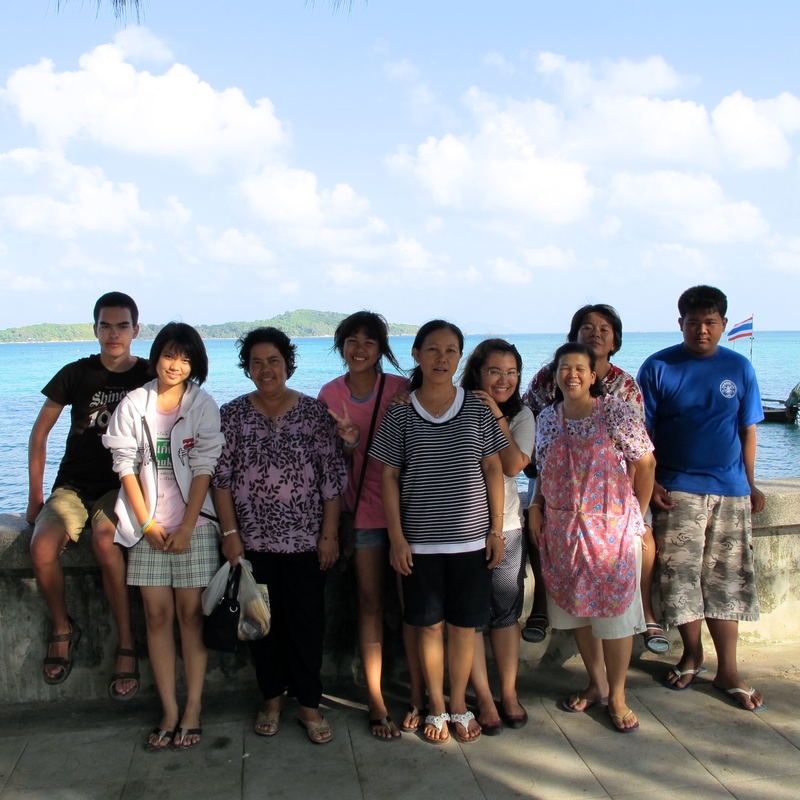 I hope you enjoy photos of foods from our family reunion at Talay-Zep Restaurant. For seafood lovers, I recommend that you include lunch or dinner on your itinerary when you visit the beautiful area of southern Phuket. 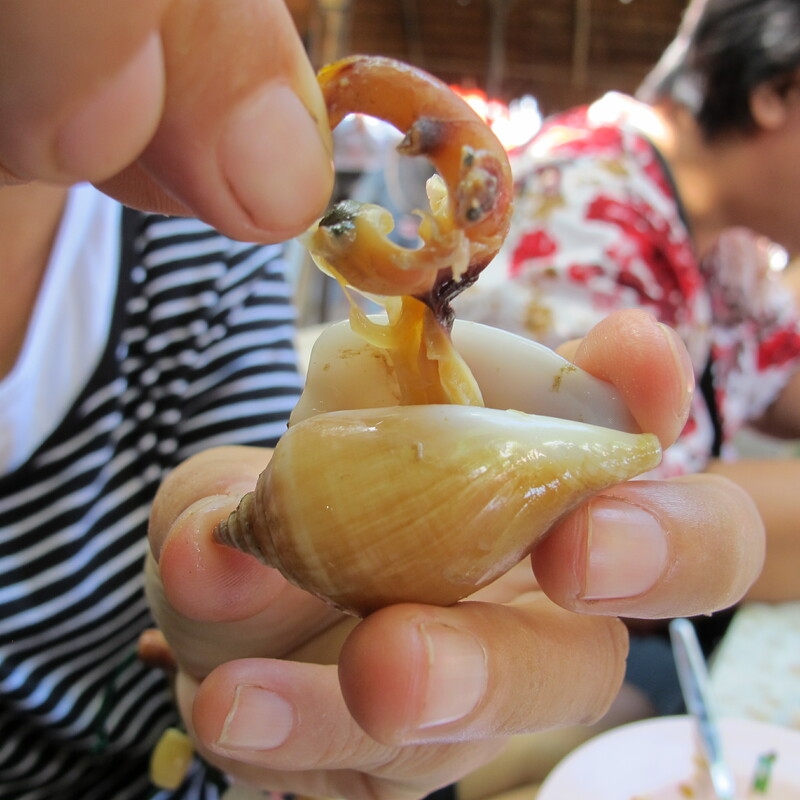 Afterwards, take a leisurely walk to Rawai pier, the sea gypsy village, and the sea shell museum. Like the locals do, dine on seafood and appreciate the source and the scenery. 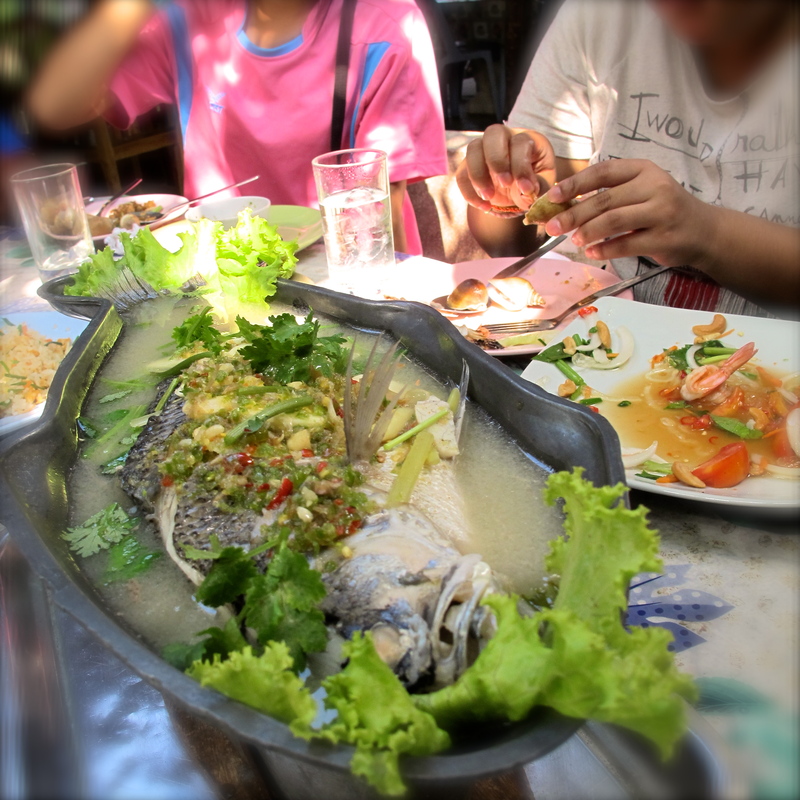 The feast from the sea at Talay-Zep Seafood Restaurant. 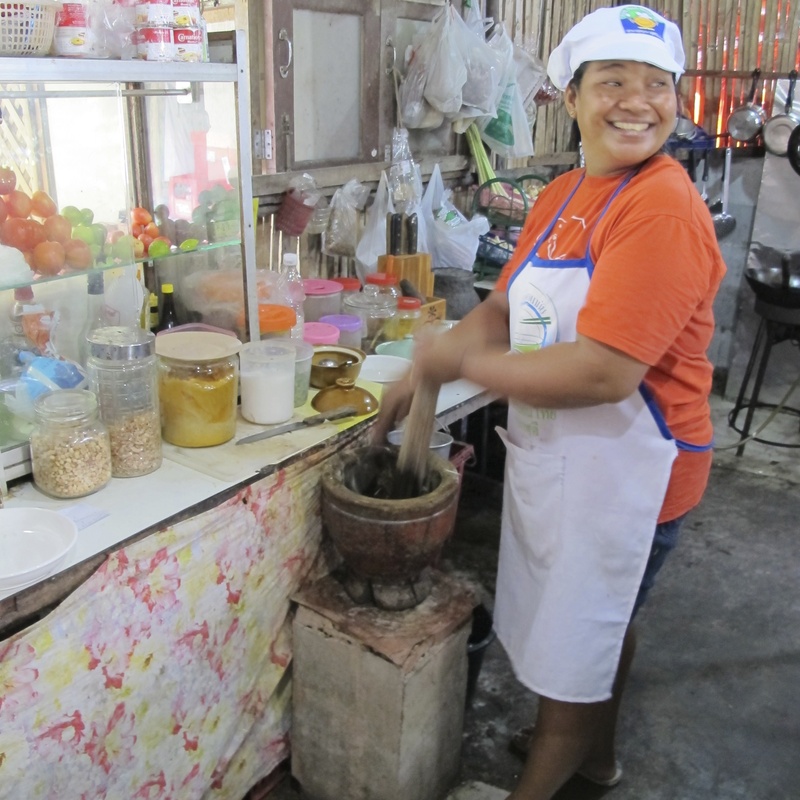 Som Tum green papaya salad is prepared in a large wooden mortar. 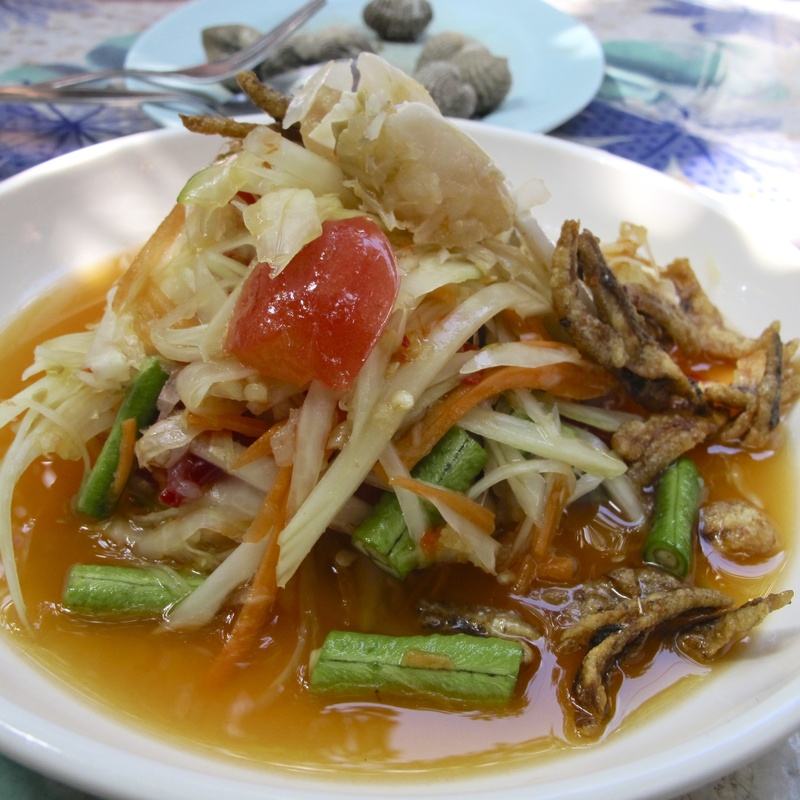 Phuket Som Tum Civeche: the owner designed this Som Tum to please locals with a touch of raw blue crab and fried anchovy. 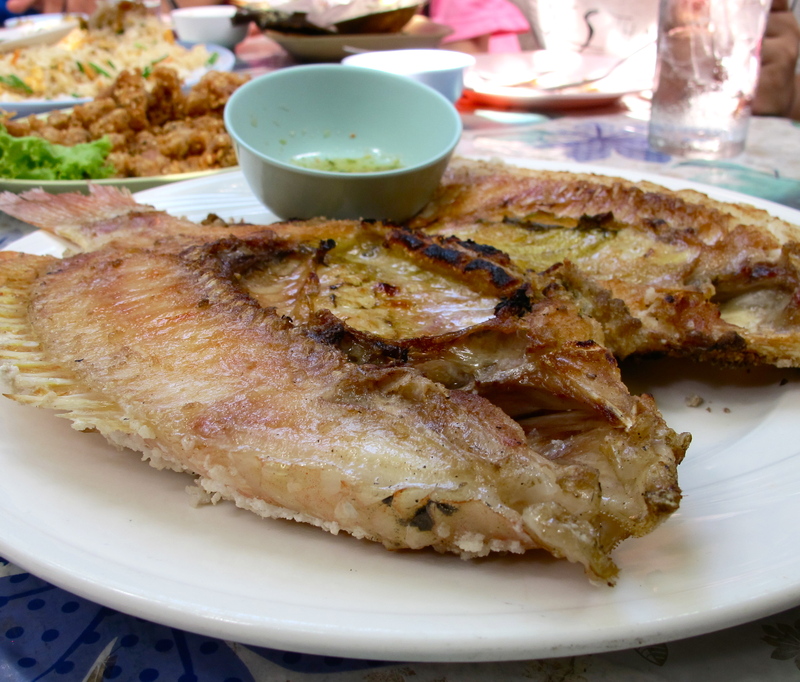 Grilled fish over charcoal or coconut husk is simply delicious served with Phuket garlic-lime dipping sauce. Steaming fish is the healthiest way to cook it, and the flavor is supreme when a delicious garlic, lime, and cilantro sauce is poured on top. The sweetness comes from steaming the whole fish with a salty, spicy and sour sauce. The sour is from lime – manao – มะนาว, and gives this dish its name. Blanched wing shells with lemongrass and kaffir lime leaves. 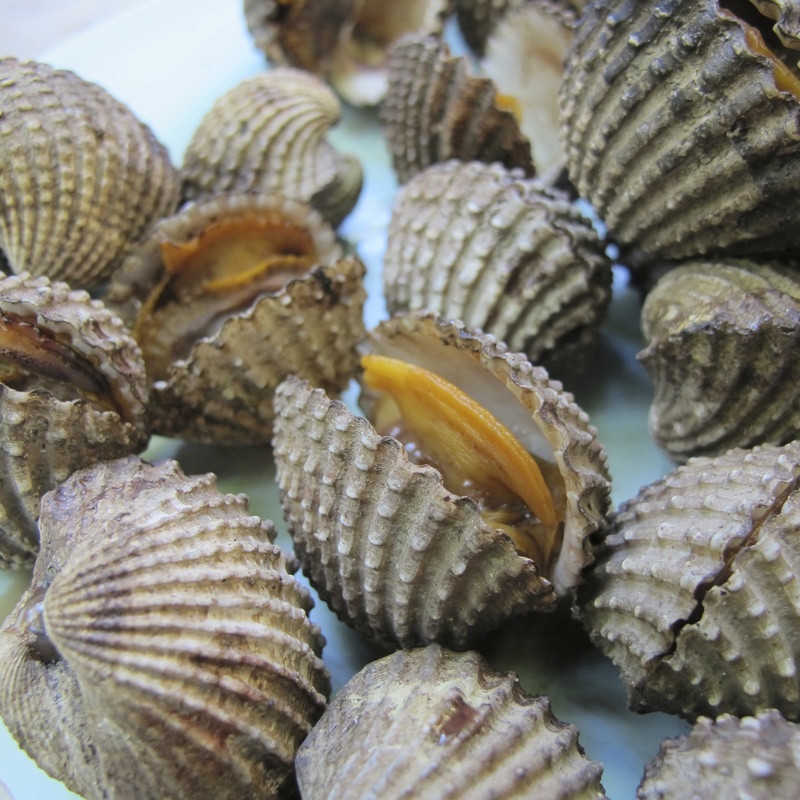 Wing shell is a common shellfish found on Phuket Island and the nearby province. 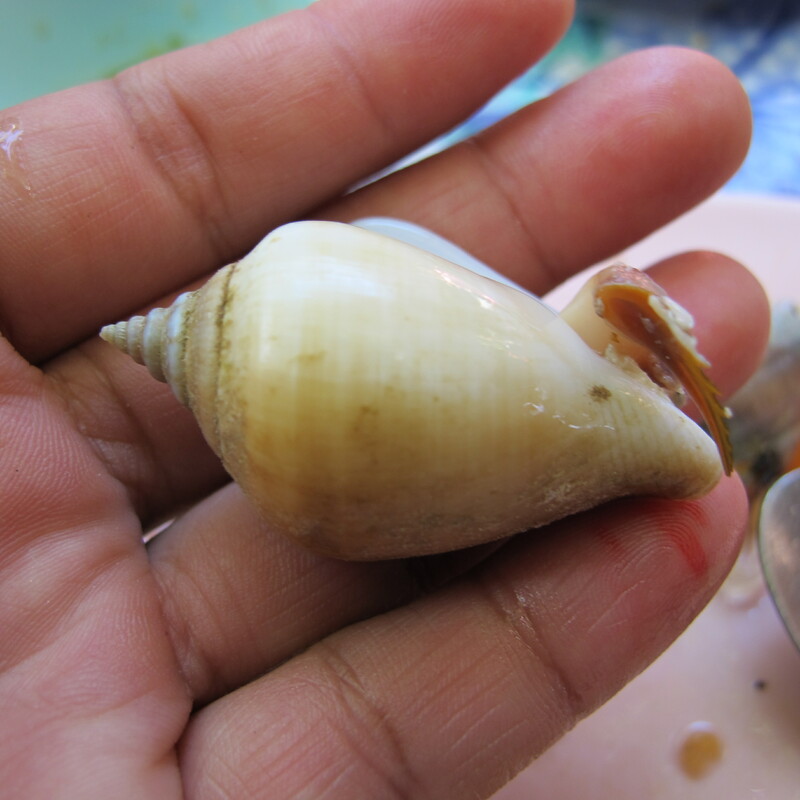 Its scientific name is Strombus camarium. 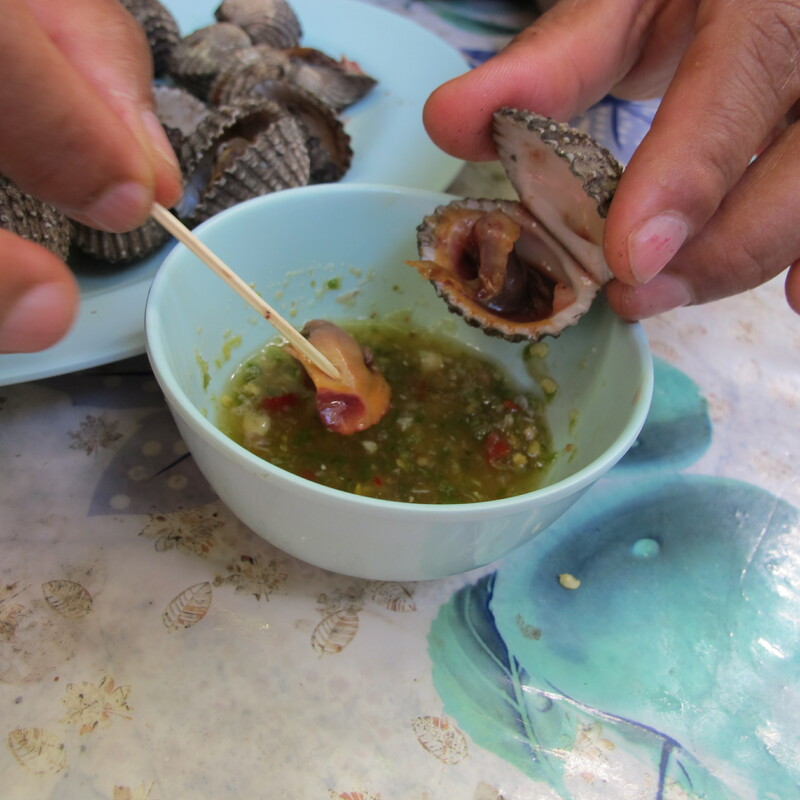 To eat wing shells, pull the nail—Thais call it ตีน – the foot—to remove the flesh from the shell (or insert a toothpick to make it easier to remove) and dip it in the seafood dipping sauce. Phuket seafood dipping sauce is the accompaniment to all seafood dishes. After our seafood feast, we had our photo taken with Kularb, my friend who owns the restaurant.